Getting engaged or ready to tie the knot gives a feeling of immense joy and happiness and the would-be couple is transported to the world of fantasy, whether it is Love or Arrange marriage. The would-be strangers or lovebirds are hooked over the phone for long hours, incessant texting, love waiting for the call, love each other bickering, concern, been questioned, childish behavior etc…but it is limited to this honeymoon period. Once one is hitched, these things appear to be a burden and the cribbing start and both people that their freedom is breached. I believe that it is far better to have a few discussions before entering into a lifelong commitment. Earlier people had a view that the boy or the girl would change after marriage and would readily adjust with each other and it happened. There were reasons for adjustments; joint family, supervision of elders, the couple were mentally and financially dependent on their families. With time, the concept changed and now even parents don’t feel like getting into suggestions and the young couple is at loggerheads because of their rigidity and both are not ready to accept each other views or suggestions, they take it as their independence and freedom breached. Spouse 1: Where were you for so long dear? I don’t like and get concerned. Spouse 2: Sorry dear, it won’t be repeated again, will keep you informed if ever I get late. Gives Feeling of care and belonging and they love the concern of each other. After marriage, if same dialogue is exchanged. They snap at each other. Reply of the Spouse for the same above question: Don’t intrude in my personal hemisphere, neither I am too small to be guided nor I wish to answer silly questions. Gives feeling of freedom breached or being nagged. To be away from these craps, better have an open discussion so that things are smoothened in the future. Why not arrange a meeting with the would-be once they zero–in their choices and discuss the points openly…at that moment, both are free and there are no bindings…if they find each other interesting and amicable, go with it else both are free to walk in their own direction…without hampering emotions. Discuss personal habits that you feel you cannot drop after marriage as habits differ of individuals. There are people who cannot accept the habits of another and they find difficult in adjustments, such as sleeping habits, snoring, boozing, personal hygiene, and chewing tobacco etc. The couple has to share room and belongings, so both should be comfortable with each other. There are people who have great aversions accepting each other habits. There are people who love to get into marriage but not comfortable with the idea of having kids and sharing responsibilities. Discuss the take and if both of you find compatible with the idea, move on. This is a major issue and often takes an ugly turn if their ideas don’t match. Finance is the integral point of discussion for the couples, where both are working or either one is working. Everyone has their own standard of living and spending money. Some can be conservative and some frugal, so it should be openly discussed. Assets and liabilities need to be shared before tying the knot. In an era, where both are professionally independent, it is better to discuss how one accepts family life along with professional commitments. Both ends require ample time and devotion so take on the professional front should be discussed. Some are ready to adjust and compromise for the sake of family while the workaholic chunks give much importance to the profession. Discuss clearly and understand each other take on the subject. Normally, it is taken as a women domain and most of them enjoy delivering it but in the long run, they feel exhausted. There are few who cannot adjust to this domain. Discuss your interests and be ready to help each other rather than binding to gender. Sharing responsibilities keeps the couple closer and they enjoy in delivering the duties. In spite of nuclear families, at any point of time, the matter comes into the light of taking the responsibilities of parents when they turn oil or suffer from any illness. Discuss this point because at times ideas mismatch and result in sourness in the relationship. If you have personal and financial responsibilities of parents, do share in and know each other views. Every child cannot be comfortable with the idea of old age homes and it can greatly hamper their relationships. Two people from two different families conjoin to enter into a marital chord. Few are conservative in beliefs and culture and wish to see their partner follow. Some are flexible and they don’t want to enter into the obligation of beliefs and culture. Discuss each other choices and how either can adjust, accept or can take further. During courtship days or during the honeymoon period, the would-be couples and new couples are far from reality and they don’t feel the requirement of above-discussed points. Marriage is a lifelong commitment and to sail smoothly do indulge in discussing the above points. If both of you find compatible at these fronts or ready to change and accept each other habits, choices and flaws…certainly go for it. This is so true. The kind of talks a couple needs to have before marriage could help keep both the partners in the loop. Knowing each other and each other's thoughts on various matters actually matters more than all the love talk they indulge in. Of course, that is necessary too, but it is better to discuss certain important matters before taking the plunge. this is so so true and important. Even I feel there should bee a pact of these conversation before marriage. I have seen Even Love marriage couple got into conflicts/sourness even divorced because finance, taking care parents and habits…issues. Yah. 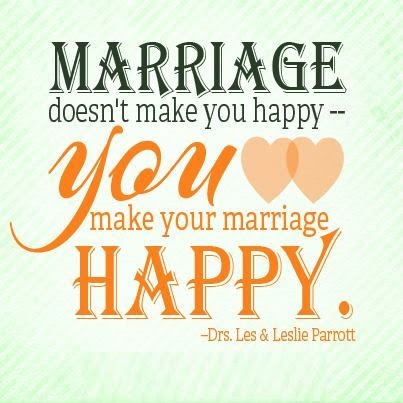 This is very pertinent points…need to be cleared before tying the knot. This is such a great post and I agree with you that marriage such an important decision of life and people should give some time to understand their would be partner to make the post marriage life happy & content. What a fantastic read.. enjoyed reading. Very rightly pointed out. It is always a good idea to have these discussions before one gets into tying the nuptial. Very nice and practical approach. Yes, it is the conversation that matters before and more so it is needed after the marriage. Just that the conversations undergoes a change in fabric. It is no more interesting and colorful as it used to before entering that institution. Life is all about embracing the change with positive attitude and molding our mind to that new state of being that we keep graduating. It is the responsibility that comes as the dagger that keep hammering at us and we get knocked out easily and every time we are weak or stressed out. We need to be cognizant of that very fact of life we need to pause and reflect and get the conversation going to foster a healthy and nurture a good relationship that ultimately matters in marriage and family life. Ila, a very well thought out post and it is pragmatic approach to living a balanced life. Very practical advice. A couple does need to discuss all this before stepping into marriage. Having a real heart to heart conversation will be helpful in long run. Very useful advice. Ditto to all of your points, especiallt dividing domestic chores and financial responsibility. Also I think discussing (if not elaborately but in brief) each other's idea of physical intimacy would go a great length to cement such an union. Conversations and sharing is the key to success of any relationship. And that's a quite comprehensive list you have given here Ila. Thanks for sharing. It definitely is helpful. Previous page Previous post: Are Relationships of A Couple Just a Piece of Paper? Next page Next post: Bollywood Movies Redefine the Boundaries of Love & Romance!